The Lion, the Witch and the photo! There will not be many people who have not yet seen the photo below. This is Melissa Bacham, a USA TV presenter and proud hunter of what appears to be of anything that breathes. A massive uproar has begun since she posted this photo of her killing a lion in South Africa; and rightly so. However, what I wanted to discuss was the issue of, firstly how anyone could do such a thing, but secondly looking at what message this sends out to the younger generations growing up about respecting the creatures we share this planet with. 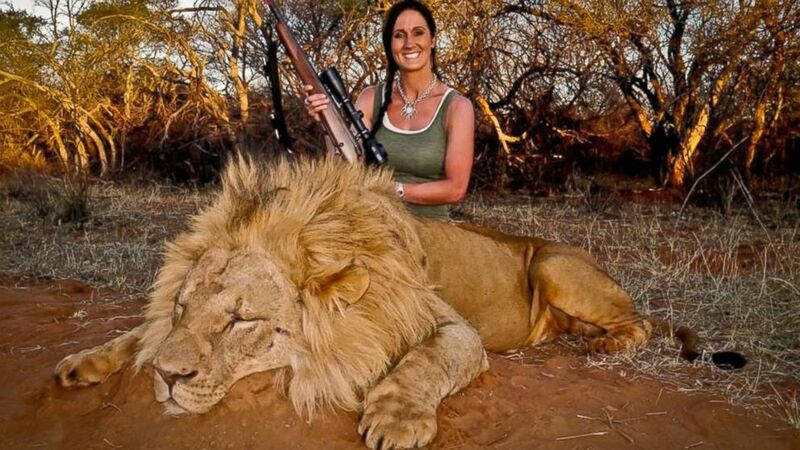 Melissa Bacham smiles proudly over her kill of a majestic Lion in South Africa. Lets get my views out the way. I think what Melissa has done is disgusting and no animal should be killed, especially in this way for sport. It is not for survival or food, just a glammed up idiot who thinks pulling the trigger on a machine is somehow a thrill. Well no you are wrong and I completely condemn this action and the abuse and killing of all animals around the world. I simply cannot comprehend how anyone can simply point a gun at an animal and end its life like that. Also, I do not see a difference between the killing of any animal be that a cow, chicken, dog or lion, but I have a serious problem when it is for photo opportunities. The message this sends out to people is terrible. It's OK to kill whatever we like because we can. What about showing respect for a creature that was here before we were and will be here after we go (as long as we don't shoot them all before we disappear). People then grow up with this disconnect from wildlife and see it as a commodity to exploit rather than live in harmony with. Instead of asking you to sign a petition or donate to Lion Aid, I simply want you to make your own mind up. Please feel free to comment or send me a message and lets get talking. But please if you shoot an animal may it only be with a camera and nothing else. I could have gone in with a joke about a cannon camera, but I thought best not to. Have you heard of a Slow Loirs? Well you may not have heard of one, but quite possibly seen one on a famous youtube clip called 'Tickling the Slow Loris'. 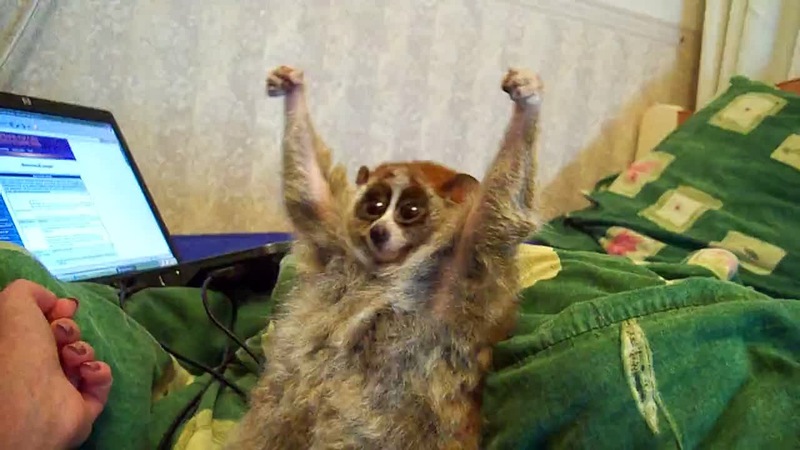 The clip shows a woman, who has one as a pet, tickling it and it looks like the Slow Loris is enjoying it. In fact it is in it's defence mode, which is where the Slow Loris freezes. Unfortunately this video has cause a worldwide rush to want a Slow Loris as a pet and this is endangering its very survival. Interestingly the Slow Loris has venom and this can kill, also the name Slow Loris is not that accurate. They can actually move very fast covering 8km in one night. Myself with Dr Nekaris after her amazing talk on the plight of the Slow Loris. Dr Nekaris made a wonderful BBC documentary about her work, but the most crucial bit was the last 7 minutes about the pet trade in the Slow Loris. 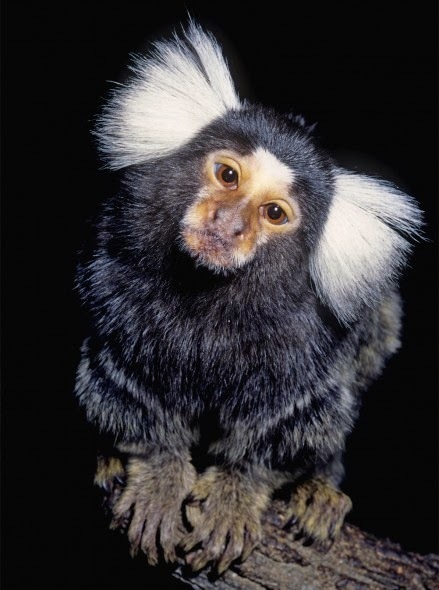 You don't even need a license to have some of these species as pets & there is an estimated 5,000 primates kept as pets in the UK, although this number could even be as high as 20,000 as there is a high non compliance rate with the licenses (2). 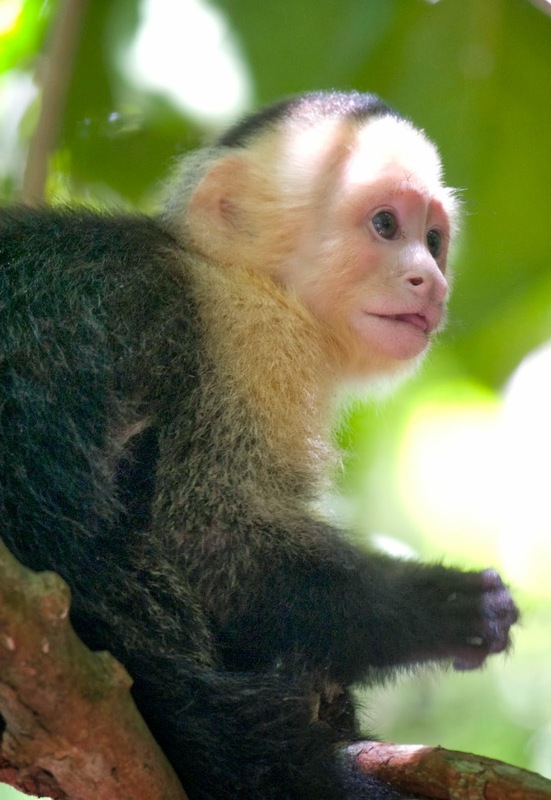 You might think after reading this that owning a primate as a pet would be great as they are cute. You would be wrong. 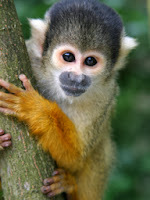 Primates are wild, intelligent animals that live in large social groups and apart from it being wrong to take them away from their family and home, they are also very dangerous. 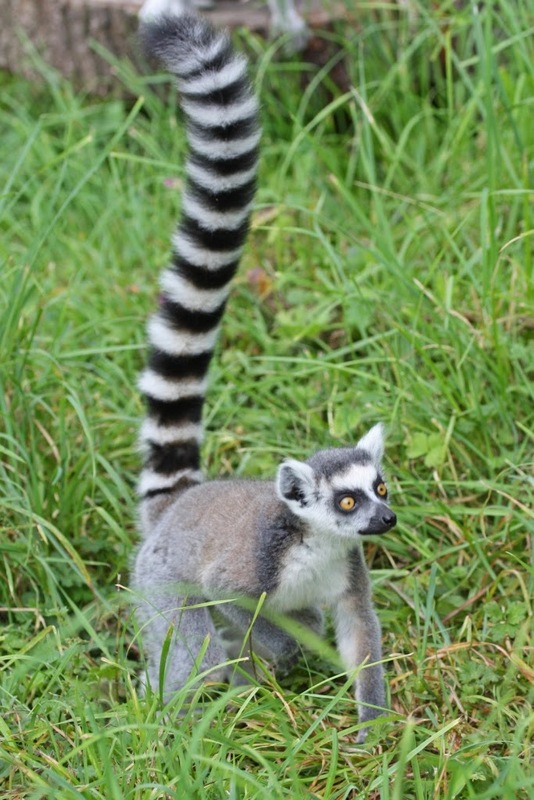 They develop sharp teeth and are immensely strong and will not think twice about biting you. 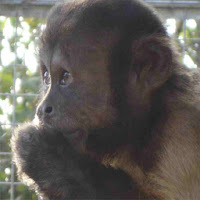 Unfortunately people do keep them as pets and no idea about their welfare, you just have to see the story about Joey (now living at Wild Futures Monkey Sanctuary) to understand how much pain they suffer; during their time as a pet and even after they are rescues as a result of the years of captivity. Primates are not pets and we need to lay down the laws to protect them and educate people about animals not being there simply for our use. Animals live on this planet with us, were here before us and will be here after we are gone. We cannot live on this planet without animals and its about time we start showing them the respect they deserve. Most importantly tell everyone you know about the fact Primates are not Pets! In September 2013 I climbed the tallest free standing mountain in the world at 5,895m, it really is 'The Roof of Africa'. I did this Climb for two reasons, firstly to raise money for Wild Futures and secondly to raise awareness of the strength of a Vegan diet. I am passionate about both of these and about how our diet is undoubtedly linked with the extinction and survival of our rain forests. Please enjoy my video below of my trip and I am still taking donations please give what you can, click here. Please follow me on twitter @lukeberman, like my facebook page www.facebook.com/diaryofaprimatologist or subscribe to this blog. Big thanks goes to my cousin Joel Goldberg for making this video! Remember them all for the ultimate sacrifice, "They had no choice". 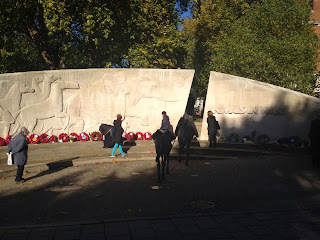 I thought it be fitting to start my blog on remembrance day with a post to remember all that were lost. I attended the Animal War Memorial at Brookes Gate (Marble Arch) on Sunday 10th November. 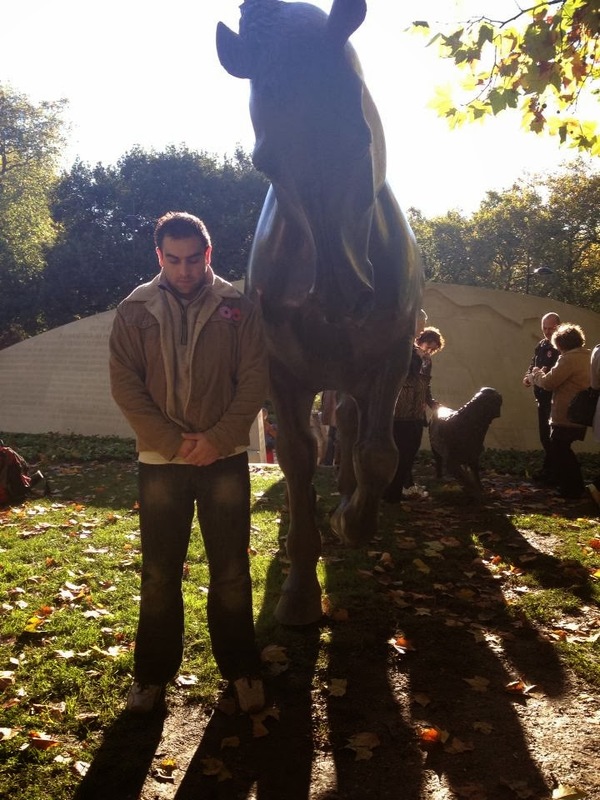 Some might say 'why are you showing more respect to animals than your fellow man', I say 'I don't, I have them as equal'. Without one we do not have the other, we live in harmony and without animals millions of men & women would not be alive today. It was a deeply moving service and the memorial itself is an incredible site. The £2 million monument unveiled in 2004 depicts animals struggling on one side and free on the other. It is a truly impressive scene and I would urge anyone to visit this and not be moved by what you see and read. The 100 or so people that were there honouring the fallen were from all walks of life including current and ex-servicemen. 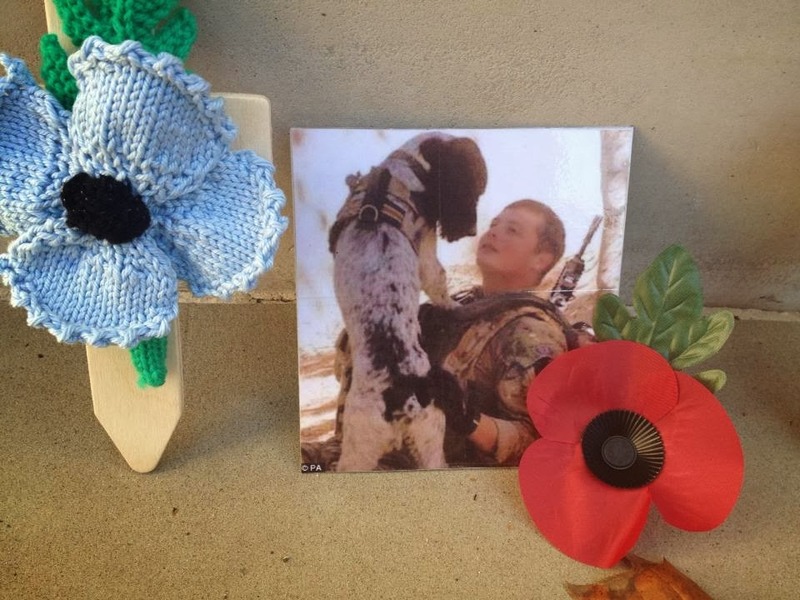 One soldier at the service was remembering the dog he had by his side while serving in Afghanistan. He knew he would probably not be alive if that dog was not by his side, sniffing out mines, alerting of danger and most importantly being his best friend. He wanted to pay his respects to all that served with him. Let me say that I have the up most respect for every member of our armed service, but we must not forget the role that animals have played and continue to play. The horses that carried the wounded from the battlefield, the dogs that sniffed out mines, the camels that carried equipment over the deserts, the mice that were sent down tunnels to check if it was safe, the mules dragging artillery around the trenches. The list goes on, but one thing is for sure, millions would not be alive today if not for the sacrifice animals gave, and remember - "They Had No Choice". So next year why not wear a purple poppy next to your red poppy and show respect for all.